I am one of the many people who support original products or original products. I prefer local but original products instead of using branded products with fake frills. The reason is very simple that is appreciating someone's effort in creating and producing an item because a thing does not necessarily exist only with the phrase "abrakadabra" is not it? It takes a long thought, try and error, and a long process just to create a finished product if we buy the version of its very own irritate the designer. Cheap is not necessarily cheap is a phrase usually considered to buy something. But on the other hand there is the expression "there is a price there is a way". So which one to trust? What to believe is the feeling that is within you in judging a product or a good. When going to buy an item I will see whether the product when worn will make the owner become more fabulous or not. Then feel, feel whether the goods are made of tough and durable material. Although cheap is not necessarily made of bad quality material. The last point is check the adhesive and zipper whether it is made of good quality or not. After finding the right items, adjust to your budget. For example you already feel fit with a certain brand and then the brand has a choice of colors, models, and prices then it's time you decide which items are most appropriate with your budget. 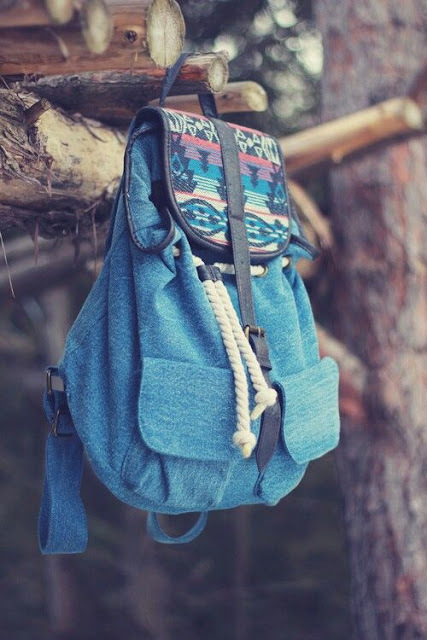 Backpack is the most needed goods by people who want simple or people who travel a lot. So there are several categories of backpacks that must be tailored to usability or purpose. For example, I need a cheap lady backpack to travel long distances to store things, clothes, makeup tools, and more then I will buy a backpack that has a large space. Then I need a backpack to store my laptop so when going to campus or work, I just tucked my laptop in my pocket. In addition there is a selection of backpacks for mountain climbing, small backpacks for hangouts, and more. Well above tips are tips for choosing a good bag, cheap, and in accordance with the needs. So prefer to use what type of bag?